Time to take a peek at what some of our favorite Hollywood folks have been up to this week. Evelyn Lozada, a Basketball Wives alum, celebrated her daughter’s 21st birthday in Las Vegas yesterday. The new mommy looks sensational and her daughter, Shanice is a looker as well. Shanice wore a see through dress to celebrate the freedom and liberation that comes with being 21. Evelyn gifted her daughter a brand new Mercedes Benz truck. Nice! Evelyn surprises Shanice with a new luxury ride. It would be nice to see this mother daughter team star in their own reality show. Evelyn gave her followers a clue that she would be celebrating in Vegas this weekend when she posted this pic of her in a comfy pair of Louboutins. Evelyn’s footwear of choice has been comfier. She’s posted these Louboutins recently as her travel footwear choice. BravoTv mentioned that Kim Zolciak is returning with her growing family with more Tardy for the Party. I like watching Kim and all of her Kimanigans. It will be cool to see her this season as a wife, mother of daughters and sons. We can rely on loads of wine and Louboutins for sure. If those things aren’t there then it’s not Kim. Nope. Kim and her hubby Kroy in a still from “Don’t Be Tardy”. 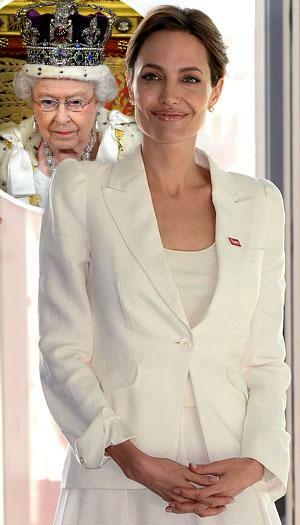 Angelina Jolie was named an Honorary Dame by The Queen of England. It is an equivalent to the title of a Knight but for women. She received the honor because of her humanitarian work and more specifically her work to combat sexual violence against women in war zones. Kudos to Angelina for her work and continued example of what it means to love all people. Dame Angelina. It is a well deserved title. In today’s billionaire news. Forbes Magazine reported that Michael Jordan is estimated to have a worth of a billion dollars. 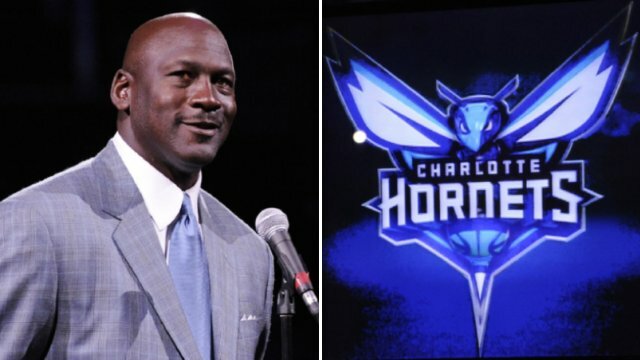 Jordan is majority owner of the NBA’s Charlotte Hornets ($416 million) and his net worth outside of the team is $600 million. Happy Father’s Day to Michael. Michael Jordan is a basketball prodigy and has transferred the same skills into growing successful business. Previous Post Hi, My Name is Tamara and I’m Addicted to Reality TV. Next Post Another Radio Legend…Gone Off The Air. Til Next Time Angie Martinez.